Most cultures have a tradition of using plants medicinally. For many centuries, Thais have used dried herbs as remedies for numerous ailments of the body. Today, the herbal compress is widely used as an effective treatment for muscle and soft tissue injuries. But, initially, herbal compresses were used mainly on injured soldiers. They were used to get an immediate response to inflammation, caused by battle wounds, and relieve general soreness, strains and pain. 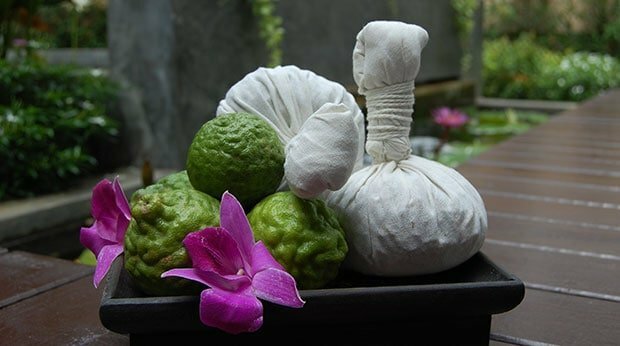 In recent years, as Thai Massage grew in popularity, so did the production of the herbal compress. In Thailand, the typical compress is made using traditional herbs grown locally. The mixture of these herbs provides an amazing aroma, and is also known to have medicinal properties, which then enter the body through the nose and skin. For added quality control, Kiyora Spa makes its own herbal compress. Preparing the compress with straight-from-the-farm ingredients can take a small commitment of time, but the health benefits are huge. Using herbs in their freshest and purest form allows their medicinal properties to have a greater effect in the body. A Thai Massage mixed with mind-blowing aromas from a herbal compress is a must. Enjoy one when visiting Chiang Mai. Stay-at-home-mum, globetrotter, dancer and scientist. I am passionate about good health achieved through natural means and clean living. Will happily trade health and weight management secrets for a lengthy sleep in. Motto: Always do your best. What you sow now, you will reap later.